Technically speaking, the wettest place on Earth must be the Mariana Trench which has 10,000 meters of water above it. Smug responses aside, when meteorologists class regions by ‘wetness’ what they’re mainly looking at is the annual amount of precipitation. This is measured in millimeters or inches and includes rainfall, snow, drizzle, fog — anything wet. Bearing this classification in mind, the wettest places on Earth can be ranked as follows. 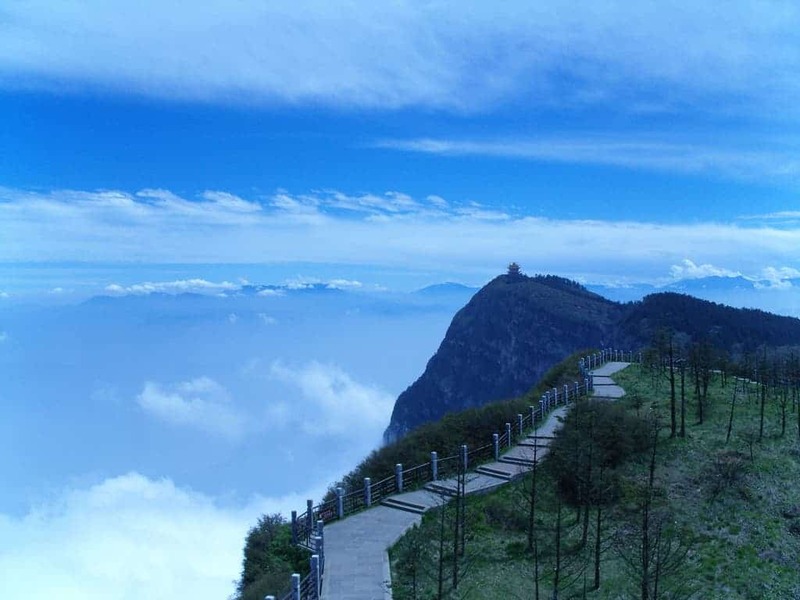 Éméi Shān (峨眉山; 3099m) is one of China‘s four sacred Buddhist Mountains. It’s the highest among all the famous sight-seeing mountains in China, but also the wettest place in the nation. All that rainfall doesn’t seem to disrupt the scenery one bit, though. Here trees are verdant almost all the year around and locals call it the most peaceful place on Earth. In March of 1942, Puu Kukui recorded nearly 2565.4 mm of rainfall, which stands as the greatest precipitation total ever recorded in one month in the United States. 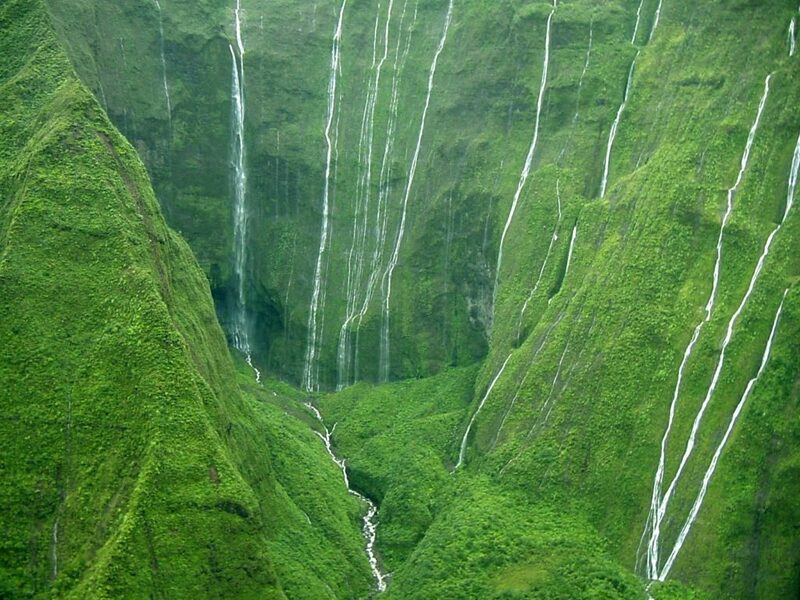 Puu Kukui also holds the annual rainfall record for the United States with more than 17902 mm of rain in 1982. Kuai is home to many dormant volcanoes, but Mount Waialeale plenty of flowing each year — and I don’t mean lava. The name Waialeale means “rippling water” or “overflowing water” in Hawaiian and it couldn’t be more fitting. 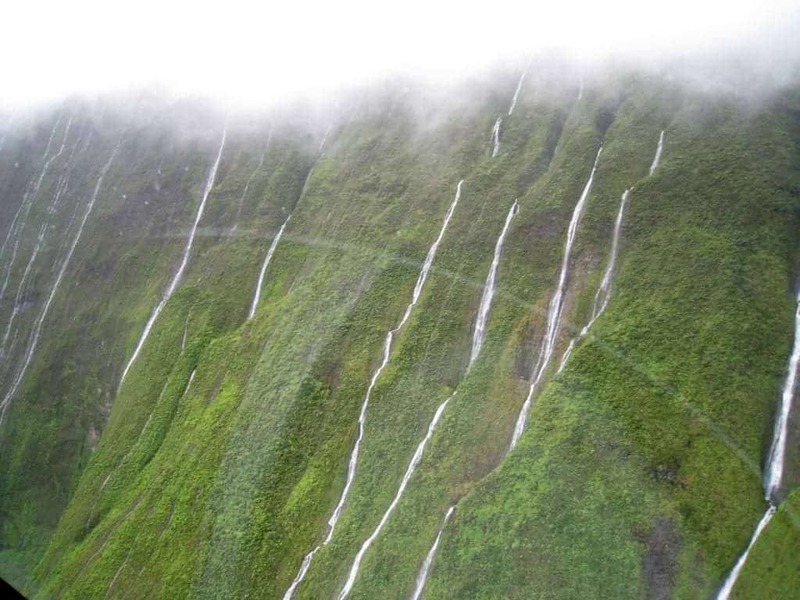 This mountain gets more than five times the amount of rainfall of other mountain peaks on Kaua’i. Big Bog is a rain gauge on the edge of Haleakala National Park on Maui Island. 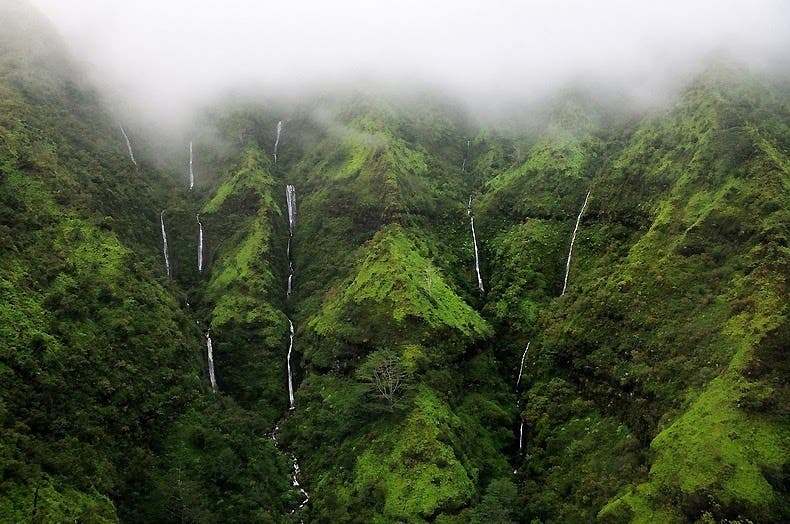 It’s a major tourist attraction attracting thousands each year who come to see its beautiful scenery, and the wettest out of all three mountains in Hawaii included in this list. Debundscha has a very long rainy season and a very short dry season, thanks to its proximity to the equator. 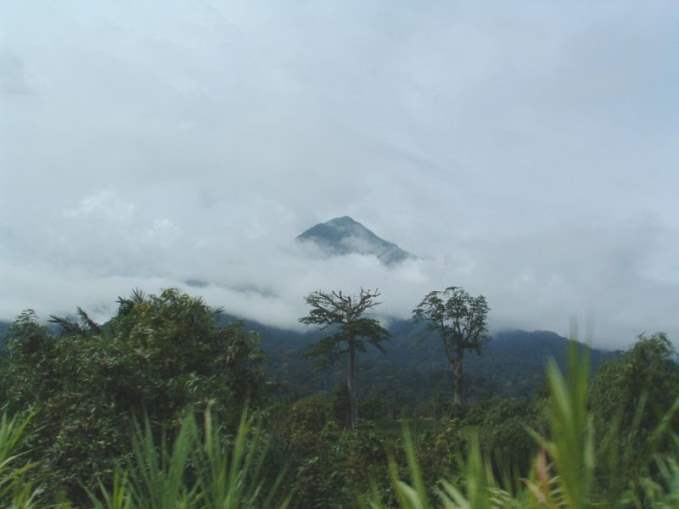 Behind Debundscha we can find the giant Mount Cameroon towering above. This mountain rises from the coast of the South Atlantic ocean and blocks rain forming clouds from passing. Instead, all that rain is being dumped in Debundscha. San Antonio de Ureca is located some 37 mi (or 60 km) South of Malabo, the capital of Equatorial Guinea. It is the wettest place in the Africa. 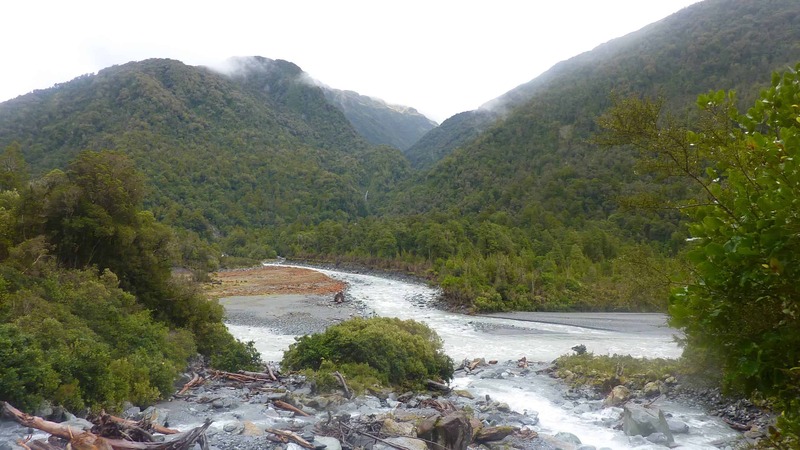 Most of New Zealand’s rain falls in its mountains, but the wettest place in the country is the Cropp River in the Hokitika River catchment. It’s only 9 km long but it sure does get a lot of rainfall. Tutunendo is a small town in Choco department, with a population of fewer than 1,000. Here the climate is like a tropical rainforest stereotype — extreme warmth, high humidity, lack of wind, and significant precipitation. If that wasn’t enough, there are two rainy seasons which bucket ample rain. 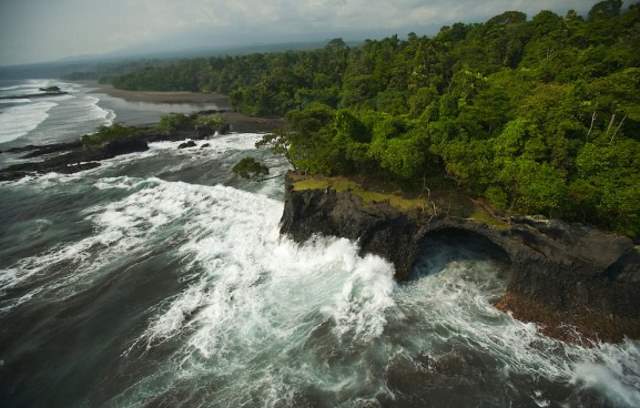 The neighboring city of Quibdo is considered the wettest city in the world. 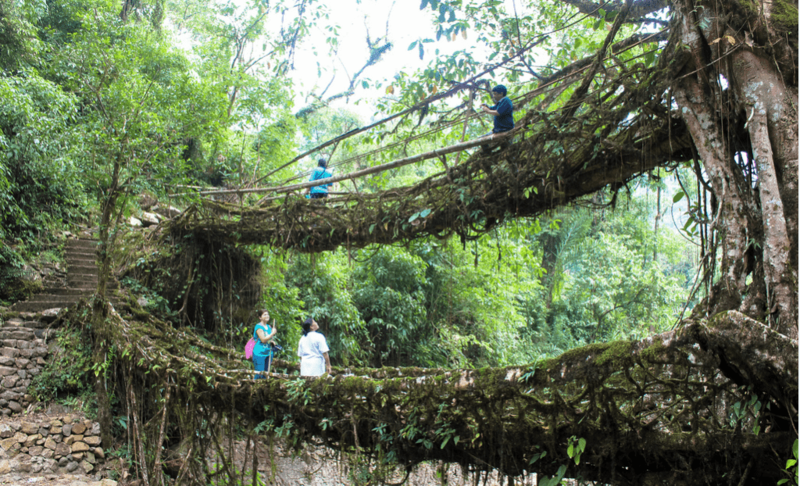 Because of the elevation of Cherrapunji, air that blows over the plains below is cooled as it rises to the higher elevation. This cooling of the air causes the moisture trapped in the air to condense, forming clouds, which then release rain. 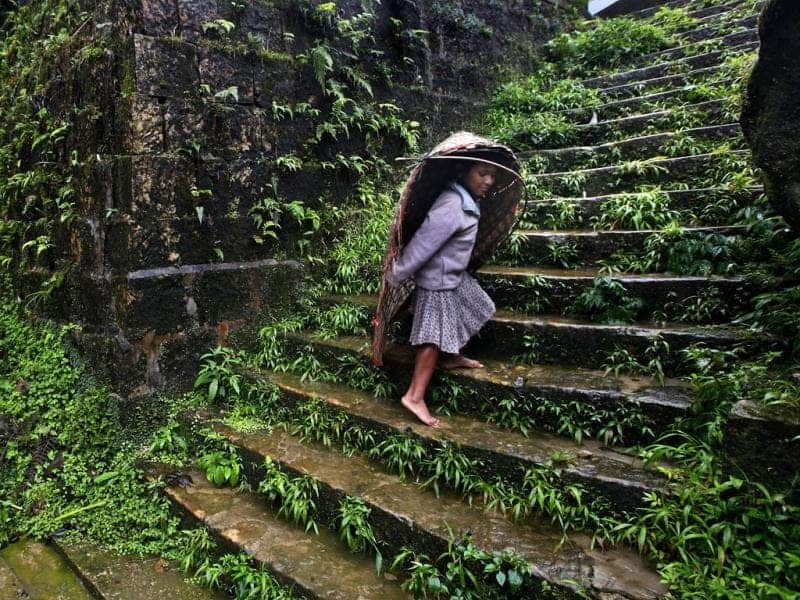 Topping the list as the wettest place in the world is Mawsynram, a village in the East Khasi Hills district of Meghalaya state in north-eastern India. A few times a year, torrents of water turn the streets of the village into waterfalls. Every year this village is battered by nearly 12 meters of rain but the villagers are used to it — they only mind when they have to plug the leaking holes in their homes.